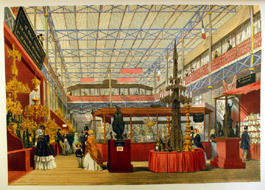 The French exhibits featured high quality craftsmanship in precious metals, and a large number of prize medals were won by French gold and silversmiths. Note the gallery to provide an upper level. 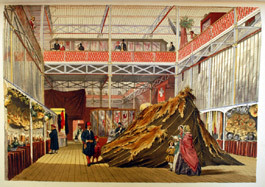 Tunisian costume, the use of henna as a dye, and a tent made of "goats' hair" attracted considerable attention.